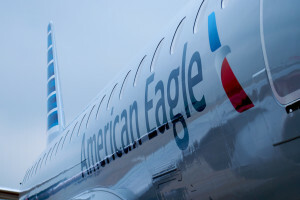 On July 31, 2013, American Airlines debuted their new Embraer E175, which will fly under the American Eagle brand, operated by Republic Airlines. 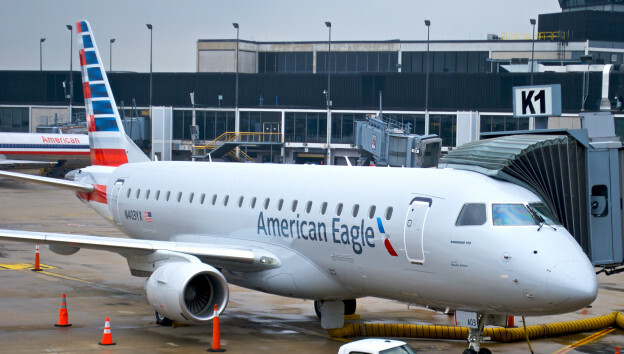 American plans to eventually take delivery of 47 E175s as part of their fleet renewal effort. They plan to have all E175s in service by the first quarter of 2015. As configured by American, the E175 offers 76 seats in two classes of service (12 First Class, 20 Main Cabin Extra, 44 Main Cabin). 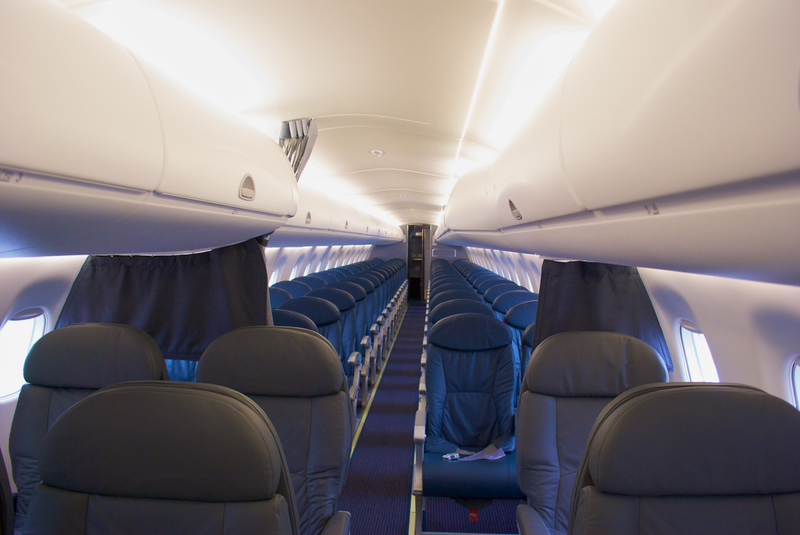 The E175 is the first regional jet in American’s fleet to offer the Main Cabin Extra product, which provides a bit of additional legroom. American has outfitted the first class cabin in a 1-2 configuration and 37 inches of pitch (with the bulkhead offering a bit extra). The seats themselves are quite comfortable and offer a good amount of room. The F seats have a large tray table in the arm rest and a smaller cocktail table that comes out of the opposite armrest. I hesitate, however, to call it a table, as it’s barely large enough for a drink. I wouldn’t actually rest a drink on it for fear of spilling it. The Main Cabin and Main Cabin Extra seats are 2-2 with 30 and 34 inches of pitch, respectively. In the comparison photo you can see the difference between Main Cabin Extra on the left and Main Cabin on the right. The four inches don’t make a huge difference, but they’re nice to have. The seats in both cabins are all leather and very supportive. All seat pairs have a standard 120v AC power outlet underneath as well. You can view the full gallery of photos of the E175, including exterior and interior shots here on Flickr. Disclosure: I was a guest of American Airlines, but all opinions are my own. American is in the process of certifying the E-175s for Gogo inflight wi-fi, says Brady Byrnes, manager of design and onboard products at the airline.